Looking to get more people to come to your live events? 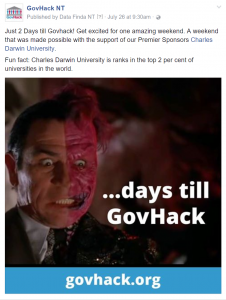 Or fun ways to generate hype and exposure before, during and after the big event? 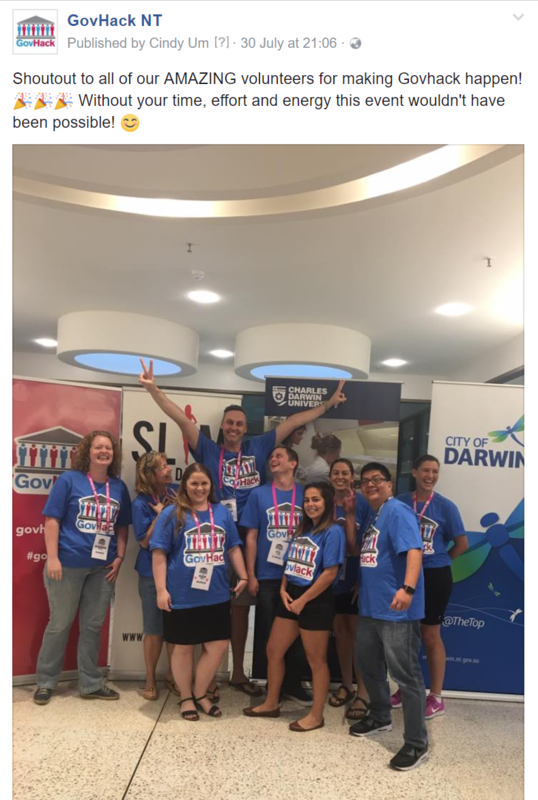 We thought we’d share what we learnt from sponsoring the NT GovHack event. In this article, we’ll walk you through a few of the basics and share our tips and tricks to help you leverage the power of social media for your event. The first thing to do is to develop a social media strategy, this typically includes deciding which platforms you’ll use, how often you’ll be posting, key event dates, messages you want to be conveying, media releases etc. 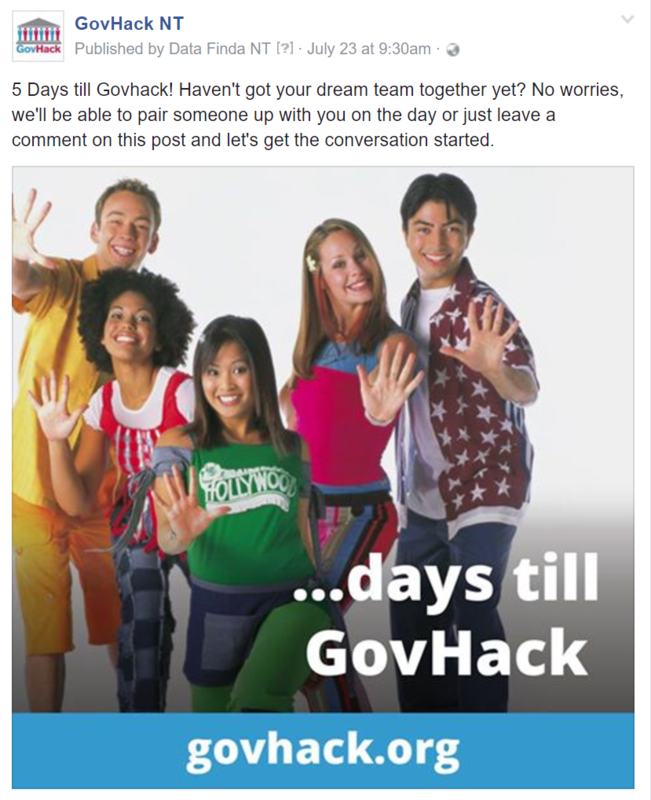 Facebook events are the perfect way to get people’s attention and keep it. With Facebook’s calendar connection, most people have their Facebook events connected to their smartphones which means that you’ll be able to keep them connected and send out notifications closer to the event. Your photo appears differently across desktop and mobile so it should be 1920 x 1080 pixels (16:9 ratio) or larger with little or no text. If you want to set up event advertising, having more than 20% text often gets less distribution. Long names can get cut off, so avoid duplicating location information in the name and don’t use capital letters or symbols that can be hard to read. Use a location that corresponds to a Facebook Page or a Facebook-suggested location so people nearby can discover and learn about your event through suggestions. Otherwise, use the full address including the city. Spread the word by regularly sharing your event on your Page. On the event, click Share then Share in News Feed to build buzz, provide updates and keep the conversation going with your audience. Ask registered attendees to share their social media handles when they sign up for the event is a great way for you to keep them engaged and build pre-event hype. It’s super simple, just add another field onto the signup page which you can later export onto the relevant social media platforms. 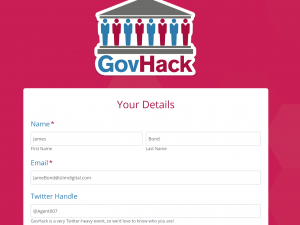 Take a look at the example below from the NTGovhack Event. 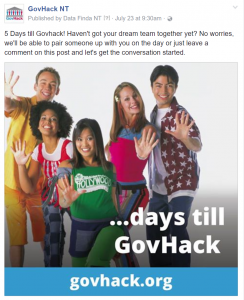 Launching a countdown before the event can be a great way to boost engagement in the community and keep your event at the front of everybody’s mind. “Think through each of your major event milestones (i.e. date and location announced, registration now open, keynote speaker confirmed) and sketch out a plan, in advance, that details the release date of the communication, subject, target audience and medium for delivering the content,” says Christine Hawks, Director of Marketing and Client Relations with MRA Services. 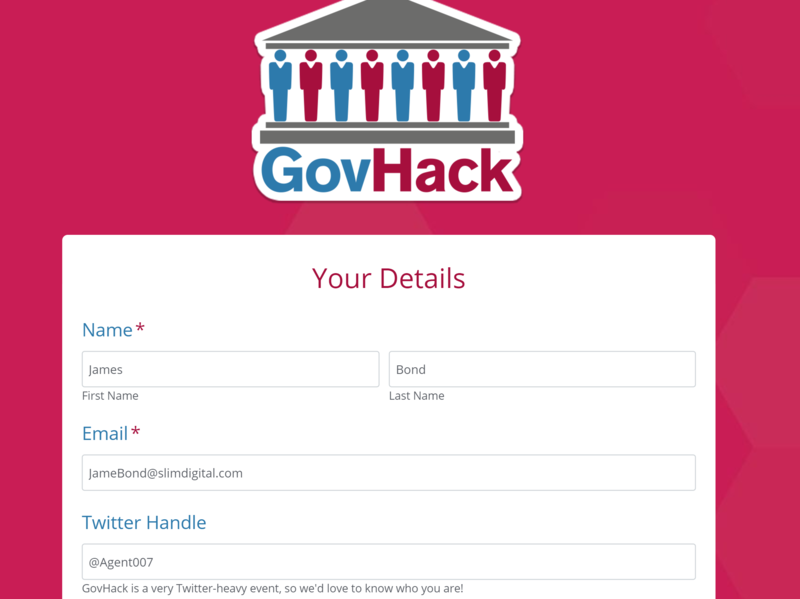 Take a look at our work from the NTGovhack Event. Notice that it’s not enough to just publish a post saying “insert no. days to the event.” Instead, use the countdown as an opportunity to thank your event sponsors and engage your audience through providing more information about the event or fun facts about the event location, etc. 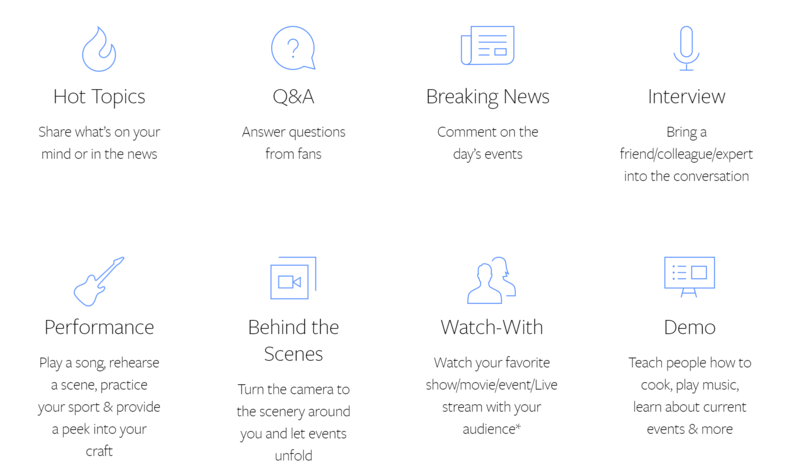 Leverage the power of live events by bringing fans into the action with live broadcasts. 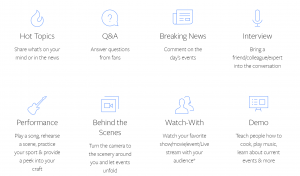 Live streams gives viewers from near and far access to an experience that they may have otherwise missed out on, and with Facebook live, it’s easier than ever. People love watching video, which is why we’ve built a dedicated place to watch this engaging content on Facebook. While your current fans will be able to keep up here and in News Feed, the experience will help new followers discover you too. Not sure you want to commit to a full broadcast? Use Snapchat, Twitter or Instagram to give viewers a peek at what’s happening. Unsure of what you should broadcast for your event? 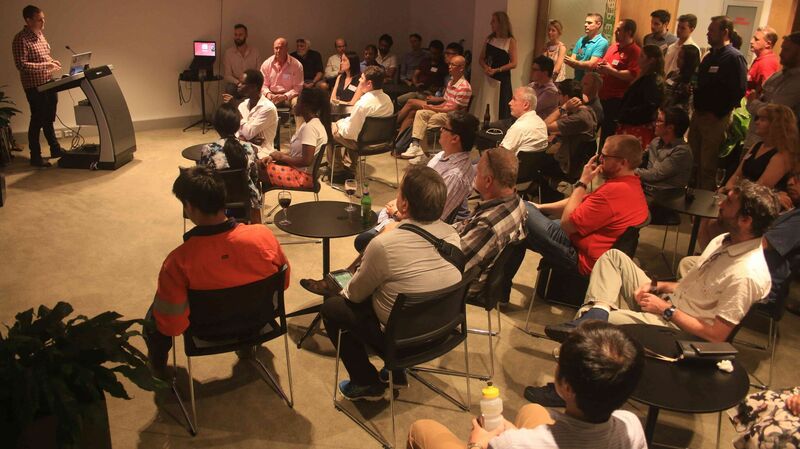 In addition to face-to-face contact, live events provide a sense of community and shared interest. One way to create that same sense of community online is to create a #hashtag for your event. Come up with a hashtag that’s short, unique, and easy-to-understand. Once you’ve decided on something – stick with it – because consistency is key for this one. Use your hashtag across all of your social accounts leading up to your event and encourage attendees to share photos on their social media with that same hashtag to become part of the story. To boost engagement and encourage people to use your #hashtag consider retweeting, sharing and reposting content to your main page. This creates an incentive for people to use it as they get to be featured on your page. 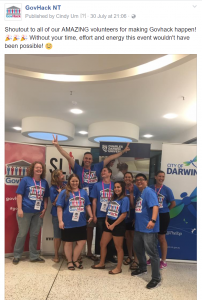 Once your event is done be sure to upload any professional photos that were taken onto social media and encourage your participants to share and tag themselves into them. Be sure to thank all sponsors, volunteers, organisers and everyone who came along. Also encourage people to like your page to keep updated with all upcoming events. 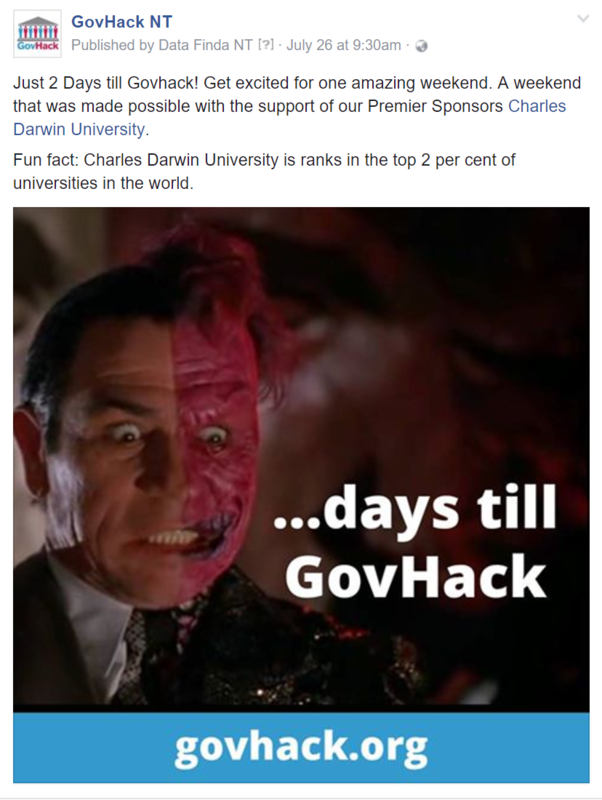 Leading up to the event, regularly post to the event and get people excited. During the event, give updates and rally latecomers. After the event, encourage guests to share photos or videos, thank people for coming and promote upcoming events. By Cindy Um, Intern at SLiM DIGITAL.